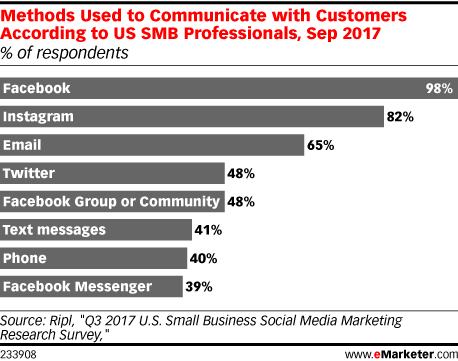 Data is from the November 2017 Ripl "Q3 2017 U.S. Small Business Social Media Marketing Research Survey." 345 US SMB owners and marketers were surveyed during September 2017. Respondents worked for small businesses with fewer than 100 employees.